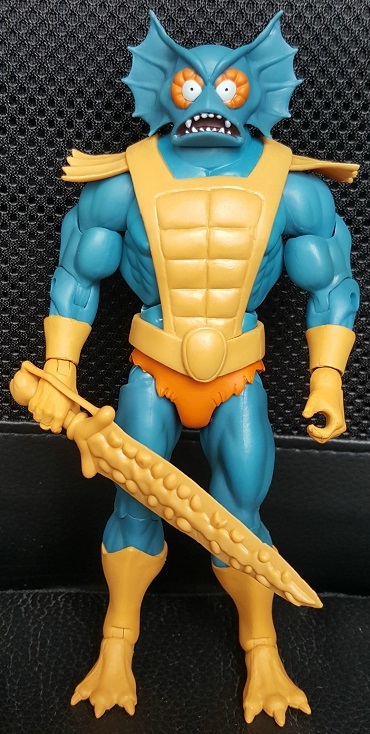 Mer-man, the Ocean Warlord, is by far the least-liked servant of Skeletor. Aside from being uncharismatic and a coward in the field of battle, he seeks no allies amongst his fellow Evil Warriors, and will often strike out on his own. He once even overthrew the entire city of Aquatica. He remains loyal to Skeletor in the hope that the Evil Lord of Destruction will one day grant him a leadership role. 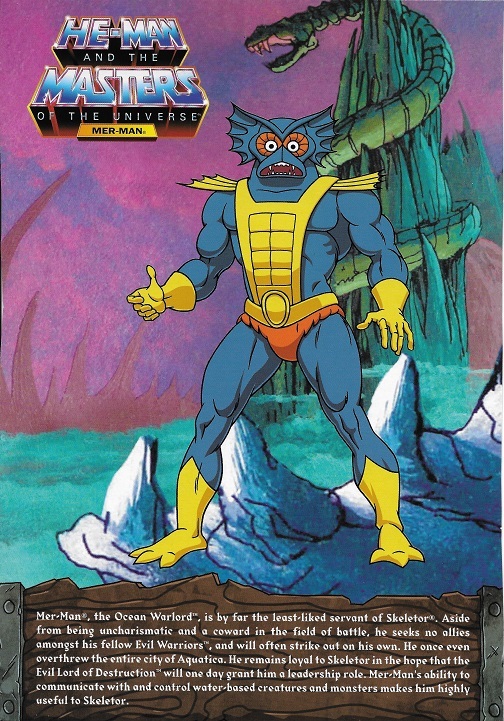 Mer-man's ability to communicate with and control water-based creatures and monsters makes him highly useful to Skeletor.